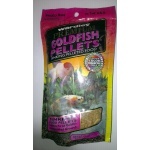 Wardley Premium Goldfish Sinking Pellets in Pouches utilizes the latest advances in technology to provide superior nutrition and brilliant coloration for your goldfish. 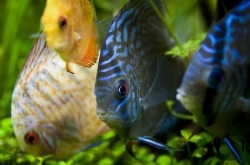 It includes Canthaxanthin, a superb color enhancer that brings out vibrant red, yellow and orange hues. Fortified with a stabilized form of Vitamin C, essential for rapid repair of body tissue and enhanced disease resistance.